Police Scotland is appealing for information to help trace Michael Tregowyn who has been reported missing from Aberdeenshire. 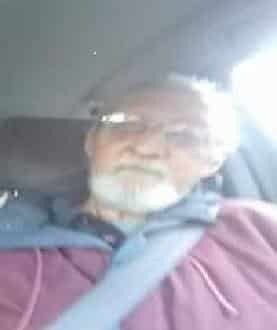 The 66-year-old left an address in the Bridge of Marnoch area yesterday afternoon (Tuesday November 21, 2017) and was last seen at about 1.25pm walking towards Huntly on the A97, possibly trying to hitch-hike. It is understood Mr Tregowyn could be attempting to travel in the direction of Warwickshire – where he lives – and we are appealing to anyone with information which could help establish his current whereabouts to get in touch. In particular we would ask anyone who saw a man matching his description after the time he was last seen, gave him a lift, or has seen him on public transport to contact Police on 101 quoting ref. number 2643 of Nov 21. Mr Tregowyn is described as being around 5ft 7 tall, with receding greying hair and a grey beard. When last seen he was wearing a red cotton outer jacket, blue jeans and black and grey trainers. He wears silver reading glasses, was wearing a white square faced watch and was also carrying a rucksack.